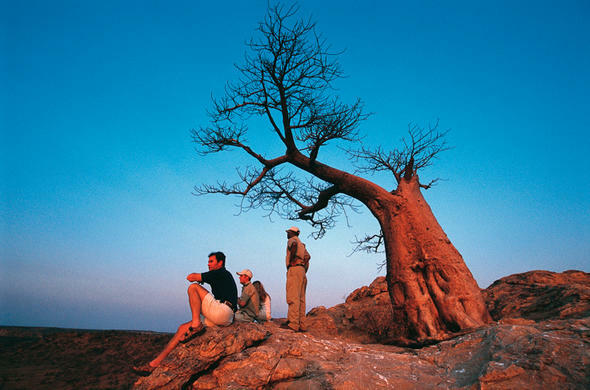 The Kalahari environment is one of pristine beauty and is unique because it does not meet ones preconceived expectations of a desert. Instead of periodically shifting sand dunes, this semi-arid landscape has significant vegetation cover to be a seasonal wildlife haven. It is a destination for the adventurous traveler who seeks to experience the feeling of space and freedom in these vast open plains. These are some fantastic desert lodges and camps that vary between Meru style tents and thatched chalets, as well as between standard and luxury. Tau Pan Camp is an eco-friendly lodge situated in the middle of the Central Kalahari Game Reserve. You will see many animals that have adapted to life in this harsh environment. This is about as far away as you can get from civilisation in southern Africa. But you can do it in style. 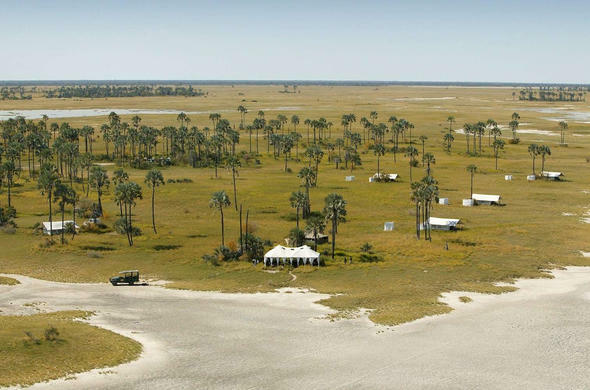 Camp Kalahari invites you to a traditional Botswana camping safari in a new and exciting way on the breathtaking Makgadikgadi Salt Pans. It's an affordable and child friendly adventure you'll not easily forget. Located on the eastern edge of the Kalahari, the Tuli Reserve has a whole lot of surprises in store for you. There are only three properties and accommodation ranges from deluxe to luxury to premier.